Let’s define “taking for granted” for the purpose of everyone being on the same page. Taking someone for granted is when a person is not appreciating something or someone for what they are, have to offer or are doing for them. I believe when someone is taking us granted, it is of primary importance to first sit down to a conversation about it. I believe the due process of all relationship matters is to share all grievances openly so that a dialogue can begin. In this, we are coming from our Highest Self (not our fearful, hiding, assuming self). We have already taken the higher road by not assuming our partner is doing this on purpose or already knows what he is doing. It is important to choose Right Speech when discussing any matter. Focus on using “I feel” statements rather than attack statements like: You never blank blank blank! Attack from one person usually leads to defense and counter-attack from another. Keep the conversation open and progressive. If you find in the days, weeks or months that follow that the conversation did not shift your partner’s ways, it is time to tell them again, but this time with your action/behavior. Whatever area you feel you are being taken for granted for, stop doing! Sound too simple? Well, it is that simple! When you take the gesture away, he will either begin to notice and appreciate the work/time/love you were putting into him and your partnership or he won’t notice at all (perhaps because it wasn’t a big deal for him in the first place). With that, you will either begin to get the appreciation and respect you deserve OR you will have just freed up valuable time to focus on something else of your choosing. In my opinion, it’s a win either way! Remember, all change in relationship starts with you. Be willing to step forward, dialogue and change your behavior if needed. This is how you stay empowered! Being taken for granted is just another way of saying that your partner can predict everything you are going to do or say and it fits it with what he expects and feels entitled to. That means you have read his needs and wants in advance and been accurate in meeting them without commensurate rights on your end. All human beings need both security and adventure. Many women opt for the former over the latter and most men don’t stay deeply connected without having to re-earn their woman throughout the relationship, or finding ways to meet their need for novelty elsewhere. They only take their woman for granted when she has let him expect that over time. 1. How long have you felt that you were being taken advantage of? 2. What have you compromised of your own needs to keep him? 3. What is your bottom line? In other words, what would be “too much” being taken for granted? 4. Are you getting reciprocal benefits in other ways that you are not willing to give up even though this part of the deal isn’t satisfying your needs? 5. 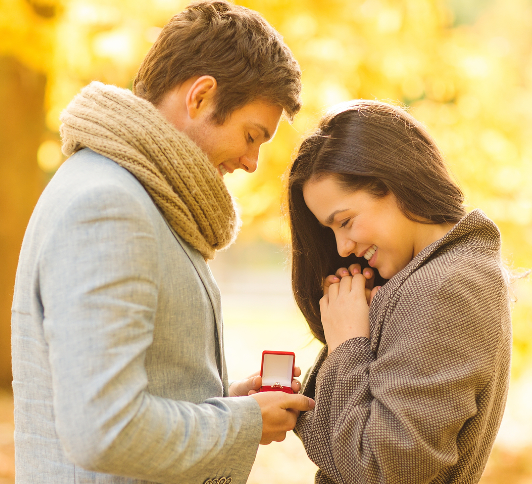 Have you told your partner that you want to be more recognized for what you give him? 6. Are you afraid that if you ask for a change in the relationship, that he will no longer want to be in it? 7. Do you come from a background where martyrdom and self-sacrifice were modeled for you? 8. Did you give away your rights to appreciation early in the relationship? 9. Would your partner agree that he is getting more out of you than he reciprocates? In recent research, it has become clear that long-term couples who continually find satisfaction in their relationships rate high on expressions of gratitude, generosity, and appreciation on a regular basis. That is a two-way street. If that ratio becomes imbalanced, it will naturally follow that one partner will feel more appreciated and the other will feel less so. The longer that imbalance has been in effect, the more difficult it is to change it. If a woman offers more at the beginning to bring her man closer, she will set that in place for the future. Men rarely pay more after the relationship is ongoing than they pay in advance. They occasionally will find that, over time, the women they have committed to increase in value and will offer more appreciation spontaneously, but that is not typically the case. If you are not happy with your “psychological bank with a hole in the bottom”, best to plug up that hole as soon as you can. That means sitting down with your guy and telling him that you were happy to give so much before but your needs have changed and you’d really like to re-write the contract. Approach that conversation without a stored-up resentment foundation. No one, especially men, want to find out that they have created an emotional credit card debt without being told in advance. Two common, human qualities are the needs for connections with others and validation. Validation can mean verbalizing something you had noticed about your partner, such as something they did which you appreciated. Likewise, your partner taking time to listen and talk with you can feel validating. We can validate each other even when we do not feel the same way about something as our partner, or even understand why they are experiencing a certain emotional state. One instance of this is asking your partner to help you understand why they feel so intensely about something in particular. Because we are not mindreaders, we often must express to our partners that we need to hear them say they love and appreciate us. While we may know this logically, these emotions can frequently feel very different, especially if we are angry with them. There is nothing wrong with asking for validation and providing our partner examples of ways to do this. Each of us has different ways we prefer to experience validation, and we cannot assume our partners know what they are. Such assumptions build toward resentment, and resentment breeds misery. If you wish to free yourself from misery, let your partner know you need validation from them. Naturally talking about validation and making these requests requires a certain dialog level in your relationship. One example is validation through verbalizing a quality you noticed in your partner, like how they kiss you or express affection. You must learn how to communicate with each other. Develop ways to speak without contempt, listen with compassion, and perceive with both your eyes and heart. When dating moves into the next level of partnership, be careful about taking the relationship for granted. Just because you are a couple, it doesn’t mean the romance and excitement have to end. The problem with many couples is that the early romantic stage of a relationship is sometimes not sustained as the relationship progresses. Spontaneity and surprises should continue throughout your time together because those are thoughtful and special gestures that your partner will always appreciate. Cherish and nurture the relationship and it will be the best investment you ever made. Underestimate your partner — and you will sabotage this special gift. Therefore, by all means, leave love notes, buy special gifts, laugh, and don’t get so comfortable that you’re forsaking the magic of being in love. The biggest relationship mistake is making your partner feel insignificant in your life. Therefore, awareness is the key. Not recognizing the needs of your partner can become a major area of contention in any relationship. In his book, Men are from Mars, Women are from Venus, John Gray states that if men and women don’t understand each other’s needs, it is very difficult to know how to fulfill them. The easiest solution is to discuss what you need from your partner and do this in a clear and concise manner. That means leave nothing to assumptions or guessing. Women can be vulnerable to “fairy tale” thinking. We tend to assume that if our partners really loved us they can also read our minds. This absurd expectation sets us up for relationship disasters, repeatedly, because it’s based on an erroneous assumption. Men cannot read our minds. Nor should they. If something means a lot to you — gifts on Valentine’s Day and your sixth month Anniversary, for example — mention that to your partner months in advance. Find out if he has similar feelings. If he cares little about celebrating the date you met, realize you are making an unrealistic request that is not likely to be met, especially as the relationship progresses. Your ability to navigate your relationship requires emotional and intellectual skills and the wherewithal to know that you are both responsible for making or breaking the experience. So, if you found a like-minded, eligible individual who meets your standards for getting involved, be sure to give him significant attention, so he will hopefully do the same for you! Long term relationships are tricky in several ways. One of the dangers that is everpresent is that the two of you stop “seeing” and appreciating each other. He always makes you coffee in the morning. She makes sure your shirts are back from the cleaner on schedule. Do you have to say “thank you” each and every time? It’s not a bad idea. To establish an atmosphere of courtesy in the partnership is a smart decision. It’s a win/win. It is never a bad thing to let your mate know that you recognize the nice new details he/she has brought into your life. We want to reward and pay attention to behavior that makes us happy. If we take a wild guess that happiness breeds happiness, doesn’t it make sense to pay attention to what is happening between the two of you? Feel free to remind your sweetheart that you are happier on the “front burner” than in the back. Expect the generosity of spirit to flow in both directions. If your beloved seems withdrawn or downcast, don’t dodge the issue — find out what’s going on. Should you receive the usual “nothing’s wrong”, refuse to accept it. Keep it light, but make it clear that if there is a problem you are not about to ignore it and will be in hot pursuit until the issue is settled. Try to be concerned but playful, it’s an effective combination. If you are fortunate and have a healthy relationship it’s a good idea to remember how truly charmed you are. Do not forget to acknowledge gratitude for what you have. Remind yourself on a regular basis that you are one of the lucky ones. Keep this attitude in mind, and you will find it easy to avoid making a big deal out of issues that are not really that important. Your partner cannot read your mind. Teach him/her about what makes you happy and what does not. If you take an attitude of, “if he/she really loved me he/she would…” STOP!. Grow up. Although you are loved, you have not yet been appointed the center of the universe. Living a life in mindfulness is a good way to go — keep that in mind. If you feel taken for granted, it’s easy to feel resentful and pull away from your partner or communicate your feelings in an angry or critical manner. This will only add to the problem. To be part of the solution, I suggest you check in with your partner and ask in a kind, curious manner, how they are. You can let them know what you’ve noticed in a gentle way, i.e. “Lately you’ve seemed preoccupied. I made your favorite meal last night and it didn’t seem to register. All week it seems as if you’ve been distant and distracted. I’m wondering if you’re stressed about something.” Talking through what’s going on may help you understand why your partner’s been less than appreciative of you lately, which can help build your compassion, and de-personalize the behavior, while at the same time increase your partner’s awareness that their actions have been affecting you. Approach the problem as if you and your partner are on the same team, battling “the problem,” which is named as something outside of your partner (stress, work, depression, etc.). De-personalizing the problem and refraining from character attacks will go a long way in helping you both get the love and respect you deserve. Most relationships don’t die from disagreements or unreasonable expectations. It’s that slow drift into the busy-ness of every day life that distracts us just enough that we aren’t even aware it’s happening. We just stop paying attention to each other in that connected way until it’s too late. That said, don’t panic. Just the act of noticing is a big start. But be careful where you go from here. That initial panic can drive you to complain, over-analyze, and make demands. Know that this will only drive your partner further away. Don’t read too much into it. It happens in every relationship. And just because your partner hasn’t noticed that anything is missing doesn’t mean he doesn’t care. Until you noticed, you didn’t notice either. Bring it up. Pick a time when you can both be fully present to talk. Don’t impose your urgency on your partner. The conversation should be calm and loving. The point of talking about it is to bring it to the table so you can both come up with a plan to get the relationship back on track. Accept responsibility. Nothing in your relationship happens in a vacuum. You both have a role in neglecting each other, even if you think you have been paying attention. Get curious. Most likely, your partner has very different needs in the relationship than you do. This is where listening is far more valuable than talking. Ask lots of questions without assuming or judging the answers. Make a list. What needs to change and how will you make it all happen? Many people get stuck believing that neglected relationships need grand or expensive gestures. But the smallest things are most effective: Holding hands in the car. Expressions of appreciation. A cup of coffee together before you split off for the day. Take action and know your relationship isn’t over. It just needs a reboot. Get excited and passionate about your own life. When you feel disgruntled because you feel like you are not getting what you want, whether it’s being/feeling ignored, taken for granted, or not appreciated, it’s time to turn things around. One of the best ways I know to do this is to define what makes you happy and start focusing more on that. Perhaps you are neglecting yourself in important ways. Perhaps you are giving up on your own needs, wishes and dreams for your life. It may sound selfish to some, but really caring enough about ourselves sends a strong message to our partner. We then put fuel back in the tank so to speak and from there we are in a better place to articulate our needs and to make changes in a relationship. If we have a strong sense of self, the “I” in relationship, as well as a sense of togetherness, the “we”, then we can request without judgment and blame, we can state what is fair to us and what we will tolerate and what we won’t. By looking after our own needs as well as we can, by investing in our own lives and taking ourselves seriously, we then reduce the risk of overloading the expectations in the relationship. We don’t then expect our partners to meet all of our needs. The best way to avoid being taken for granted is to be clear about the part we play in the relationship dynamic and to be willing to step back and change our own steps in the dance.